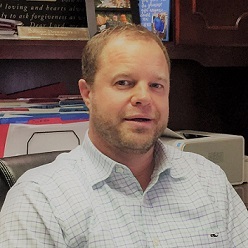 Donnie Benningfield is a highly experienced loan officer and has over 20 years experience in the area of mortgage lending. As a very successful loan officer, he is surrounded by a talented team that assists his clients throughout the loan process to provide excellent service. He is very committed to delivering this level of service. Donnie is also an avid sports fan, father of four, grandfather of 1 and has been married to his wife, Tracey, for over 27 years.